You know the drill. Someone belonging to a favored identity group screams racism and presents a scrawled note or a hanging noose as evidence. Authorities make a federal case of it while bleating obediently about the staggering magnitude of the incident. It turns out to be yet another hate hoax. The perpetrators confess but usually face no consequences. Liberals mumble about how at least awareness was raised. The media goes from high-decibel shrieks to letting the story silently vanish. “Violent” because anything that you choose to be offended by qualifies as violence, so long as you belong to a politically preferred identity group. Also, white employees kept Hitler’s brain in a jar of formaldehyde and would genuflect before it. Just kidding. The employees say their co-workers would talk about how they were carrying guns in their cars and magazines like Guns and Ammo were left out in the break room. 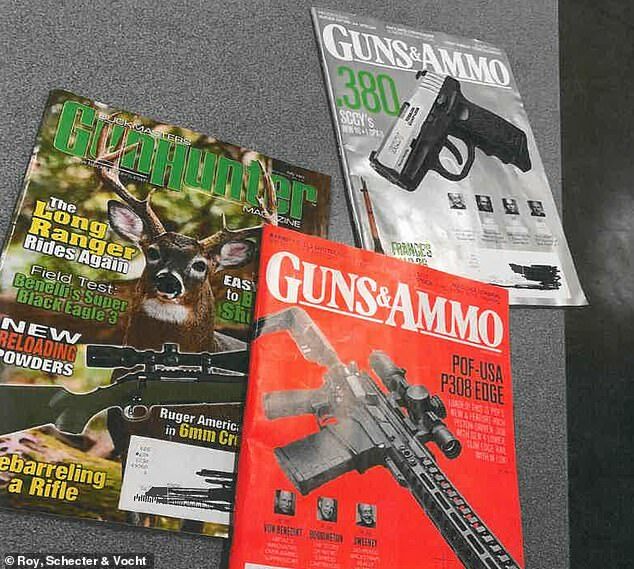 In support of this, the Daily Mail has an actual photograph featuring issues of Guns & Ammo, spread out on what might be a table in the GM breakroom. If only Daily Stormer had a print edition. If there aren’t any reprehensible crimes to exploit, at least there is still the legacy. A donation to Al Sharpton will not get them out of this. GM says some scapegoats have already been fired in Toledo, but that won’t suffice either. Unless it can be readily proven that the supposed victims hung the nooses and scrawled the notes themselves, GM will have to settle big time, probably to the tune of $millions. If they let it go to court, they will get looted anyway, and worse yet they will have the media portraying them as a racist corporation. Unsurprisingly, the Ohio Civil Rights Commission has already determined that GM is guilty. Civil rights commissions exist to find racism and would cease to exist if they failed. Despite all the oppression, Boyd and Brooks were drawing six-figure salaries until they quit last year. But that is chicken feed in the realm of jackpot justice.